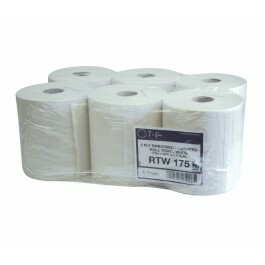 The Leonardo 175m 2 Ply White Roll Towel has been designed to be a hygienic and cost effective system. The roll is to be used with any of the Leonardo Dispensers and has several benefits compared to centre feed rolls. 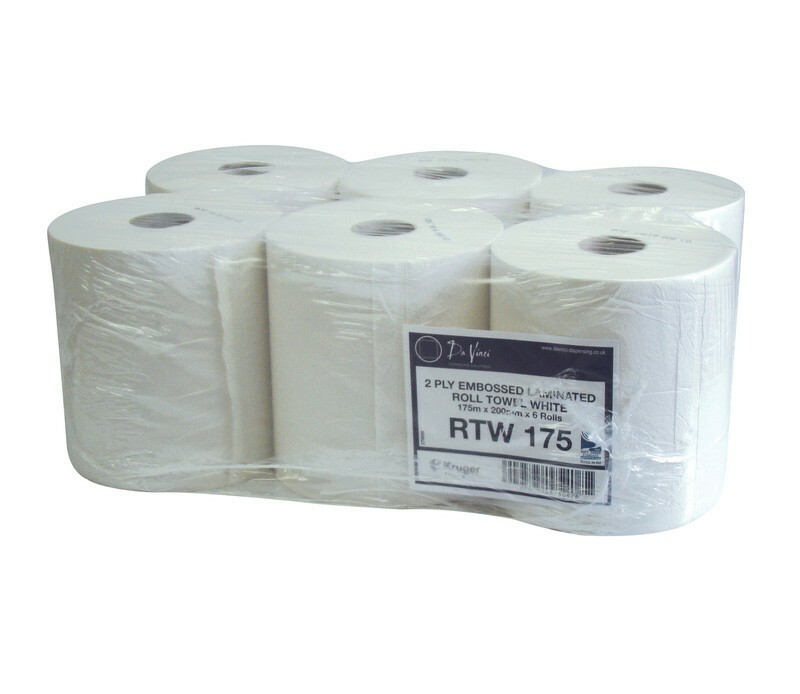 Roll Towels are dispensed flat to maximise surface area, centrefeed dispensers present the tissue in a tubular `rope` format which has a limited surface area. One sheet is presented at a time meaning consumption is controlled. This product is ideal for high volume areas such as schools, colleges, sports centers, care homes and hotels. The dispensers also have a professional stylish design that compliments any modern washroom. The towel is 100% pulp recycled, is 2ply laminated, 175 meters in length and has a width of 197mm. Towel is dispensed flat to maximise surface area. High traffic capability, low maintenance. Does not pull-through continuously, controlling consumption. Made from 100% pulp recycled paper.